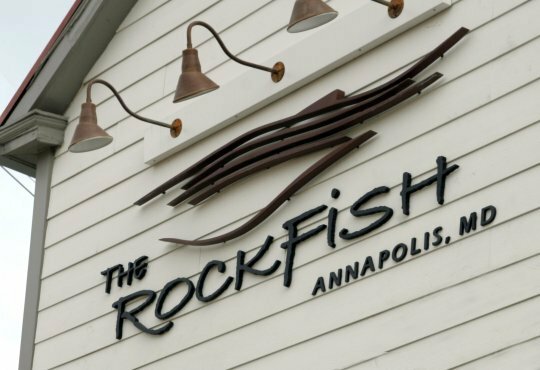 The Rockfish is a no waste fine dining experience located in Annapolis. The restaurant takes all of it organic waste to a compost facility, runs a recycling program called "Rockfish Recycles" which began in the early spring 2007, purchases wind power carbon credits and has already off-set millions of pounds in greenhouse gases. "Our program provides neighboring businesses that were not recycling at all with recycle containers to keep on site. Every Friday, the 12 businesses who now work with us drop off their waste in our parking lot. We sort it, pack it and deliver it to the county’s recycling center free of charge. Current estimates show that we are converting 4 tons of trash bound for landfills to recycle every month. That is almost 50 tons each year and the program keeps growing."